On April 16th, 2016 during the Golden State Warriors historic 73-9 regular season, they defeated the Houston Rockets in Game 1 of the First Round by a final score of 104-78. On the front left tail is an “adidas” manufacturer’s tag that reads, “climacool” and “SIZE XL”. On this tag, “4/16/16” is written in black pen. There is a flag tag attached that reads, “LENGTH +2””. 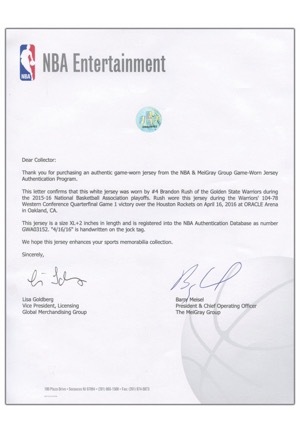 Adjacent is the official NBA swatch with serial number “GWA03152”. On the left inseam is a size “XL2” materials tag with washing instructions and a tag that reads, “05/15 S22683 AZB012”. Inside on the rear neckline is a size “3XL4” tag. 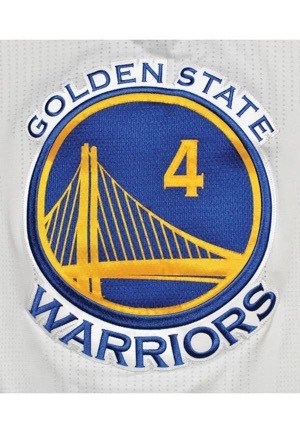 On the collar is a gold-colored tag with “4X” adjacent to an image of a Larry O’Brien trophy. 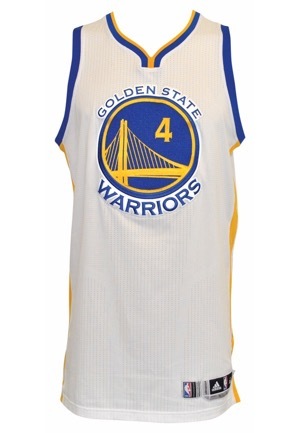 On the chest is a large team logo disc patch that reads, “GOLDEN STATE WARRIORS” with the player number “4” on it. 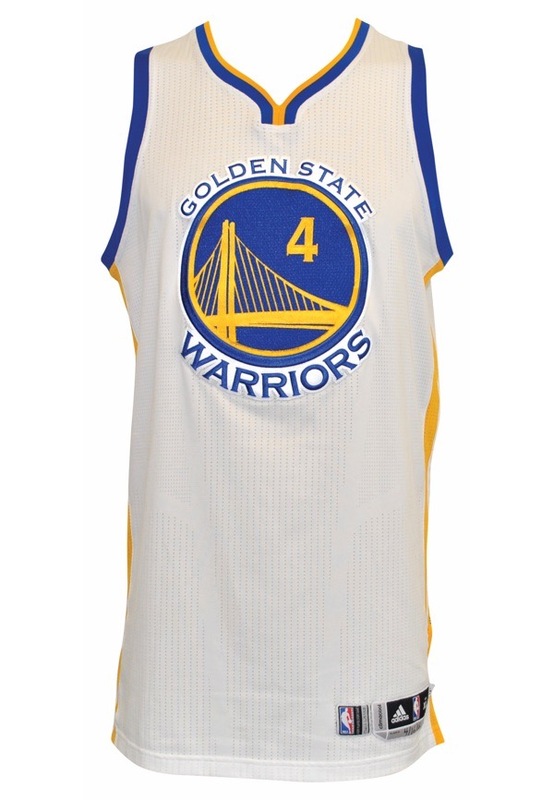 This is done in blue mesh, white tackle twill, gold-colored tackle twill and blue stitching. On the back is the player number “4” done in blue mesh with a blue-stitched border on blue tackle twill. 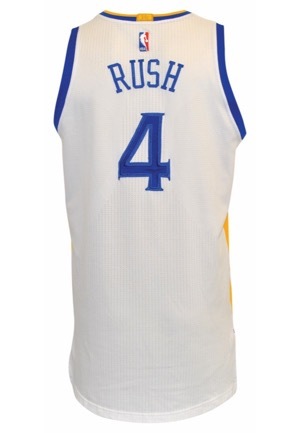 Across the back reads the player name, “RUSH” in blue tackle twill sewn directly onto the white mesh jersey. 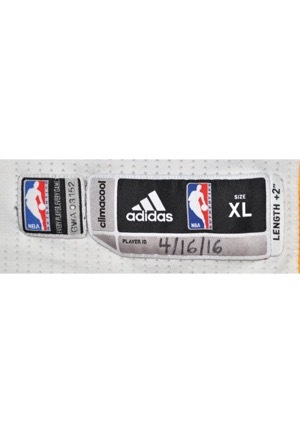 Above the player name is the official “NBA” logo embroidered. This jersey is properly tagged, was presented to us as game-used and in our opinion shows appropriate use. Accompanied by an NBA LOA.